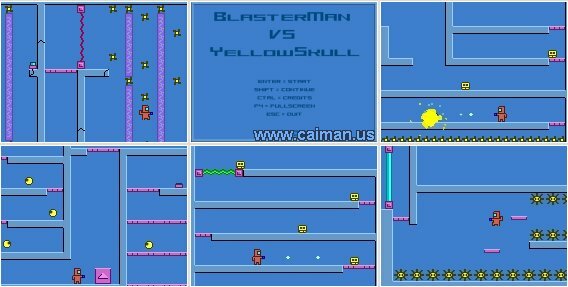 Caiman free games: BlasterMan vs YellowSkull by Alexitron. 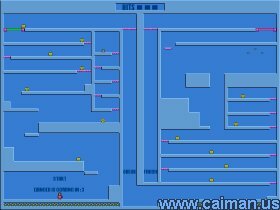 Hero BlasterMan and villain YellowSkull always fighting because that is what heroes and villains do . Enter SkullTower and put your skills to the test in 10 + 10 levels filled with enemies, traps, and many dangers. 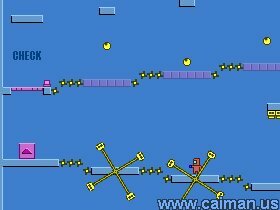 Important: Don't forget to use the space bar when you want to exit the game. Climbing Clive & The Ro.